is the bedrock of the Chief Nyesom Wike led administration mission template, it’s anchored primarily on the tripod of good governance, justice and equitability. For the past three years, the administration against all odds has pursued this mission with vigour driven by the three arms of government, while good governance is being marshaled by the executive arm; the judiciary since May 2015 has oversaw justice delivery effectively. The legislature has created equitability by balancing the equation through oversight functions and law making. One would recall that when Chief Wike assumed office in May 2015, the judiciary and legislature were under lock and key. 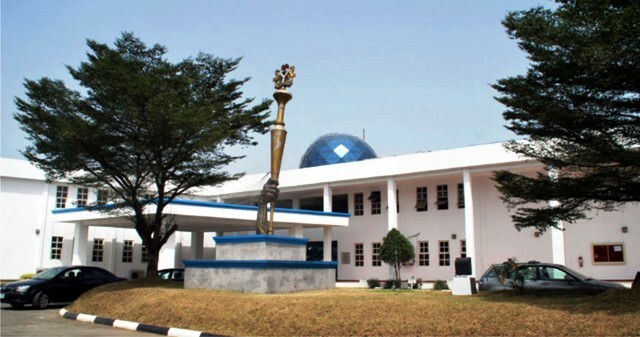 The legislature became the first acid test for the NEW Rivers Vision. Since the Assembly complex had been under lock and key after the fracas of 2014, most legislative sittings were conducted in Government House. The public perception of the legislature nosedived hence immediately the Wike administration was inaugurated on May 29th 2015, the governor began frantic effort to restore the Assembly back to its former status. First, effort began to refurbish and renovate the deserted Assembly Complex with the aim to move its sittings back to its rightful place. The Assembly was finally inaugurated on May 31st 2015 with Andoni-born legislator; Rt. Hon. Ikuinyi-Owaji Ibani elected the Speaker of the 8th Assembly in the State. Since the 8th Assembly came on board, the relationships between the legislature and executive have been smooth and complementary. Immediately after the inauguration, the Assembly went to work as it debated and approved a supplementary budget by December of 2015. 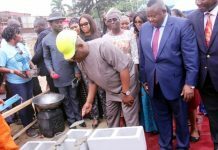 The aim of the Supplementary budget was to aid in the capital projects planned to commence within the year, one of such include the “Operation Zero Pot Hole”, which the governor unveiled immediately he was inaugurated at the Gowon Stadium, Elekahia. 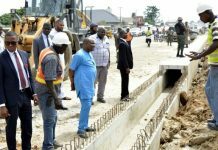 To achieve the scheme, the government shared the project between multinational construction giants, Julius Berger Nigeria Limited and China Engineering Construction Company (CECC). While Julius Berger was to handle all the roads from Abonnema Wharf Junction down to Borokiri, CECC was to oversee repair of bad roads in Diobu and Uptown Port Harcourt. The Assembly said the N104,287,285,108 supplementary budget was approved to enable the governor execute capital projects. But the governor went beyond projects as its ensured that backlog of salaries owed civil servants and pensioners were paid off. Of noteworthy is the desire by the legislature to always provide support to policies of the State governor through robust deliberations and debate. This it has done when some executive bills have been brought to the floor. 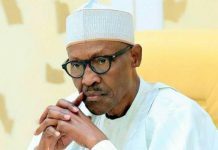 Shortly after, the Federal High Court nullified the All Progressives Congress (APC) local government elections in September 2015, the Assembly moved to check the lacuna created by the judgment especially in addressing the leadership challenge at the local government councils. In September 2016, the House passed the Rivers State Local Government (Amendment No. 1) law, number five of 2016, and the Rivers State Administration of Criminal Justice of 2015. The local government amended law N0. 5 was aimed at extending the tenure of Caretaker Committees as a way of stabilizing council administration. Instead of three months, the CTC members can be allowed to stay for nine months maximum. The Criminal Justice No. 7 law of 2015 was to help the state quickly dispense justice, to fight crime, maintain law and order. It will be good to recall that before Wike administration came on board on May 2015, the court just like the legislature was shut down for two years. The absence of law dispensation in the state led to accumulation of cases, putting pressure on the judiciary. Based on this situation, the legislature quickly approved the law to enable quick dispensation of justice, and reduce workload on judges. Another NEW policy that got the approval of the legislature was the Rivers State Education (Return of Schools) Amendment law No. 1 of 2017. The bill was to amend an earlier law, by the Odili administration, which handed over some public schools to original owners, especially missionary schools. The amended bill seeks to pave way such that government can support non-performing missionary schools. Explaining the objective, Chief Wike averred that the Return of Schools law was vital because it will permit the State Government to intervene in Mission Schools already returned to their owners. By the time the Assembly sailed into the first quarter of 2016, a rerun election had been conducted with over 20 legislators set to recontest their seats. It was during this period that Okrika born legislator, Hon. Adams Daboturodime, took over the mantle of leaderships as the 10th Speaker of the House. From the period Rt. Hon. Daboturodima oversaw the affairs of the House from December 19th 2015 to December 30th 2016, the Assembly had passed four bills into law. Notable among the laws signed within one year of Hon. 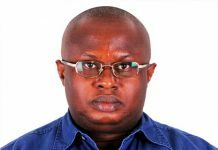 Daboturodima leadership include – The Ignatius Ajuru University of Education (Amendment No. 2) law number six, Rivers State Local Government (Amendment No. 1) and the Rivers State Violence Against persons (Prohibiting bill 2016). 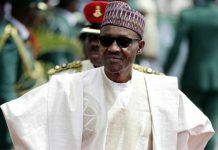 The House also passed in December 2016, the 2017 appropriation bill of N470 billion tagged “Golden Jubilee Budget. Between December 2016 and June 2016, when the 8th Assembly clocked two years, the House under the second leadership of Rt. Hon. Ibani passed 10 motions and about five bills into law. One interesting bill that further underscored the policy of the government to instill development was the Rivers State University Law N0. 4. The governor had explained that the bill was initiated to avert the loss of accreditation of several courses by the State University following recent regulations by the National Universities Commission (NUC). The same also went for Rivers State Polytechnic at Bori whose name was changed to Kenule Saro-Wiwa Polytechnic. The 2017 bill also saw changes in academic and non-academic staff status and functions. Majority Leader of the House, Hon. Martins Amaewhule while presenting five bills last year said the Assembly passed those laws because of its commitment to the development programmes of the State. Just few months ago, the House passed three bills into law. The bills are the Neighbourhood Watch Safety Corps No. 6 of 2018, the Rivers State Anti-Cultism bill and the Rivers State anti-kidnap (Prohibition) Amendment No. 2 law No. 7 of 2018. The Neighbourhood Watch Safety Corps law is to give impetus to the already existing security milestone in the state. It’s believed that when the agency, which has been inaugurated starts full operations will help strengthen the security architecture of the state. To further arm the agency, the Assembly before passing the bill into law conducted public hearing, during which members of the public contributed to the bill. The Anti-kidnapping and Anti-Cultism laws are adjuncts to the Neighbourhood Watch Safety law, as they are aimed at curbing crimes. Cultists and kidnappers are to face death penalty if tried by law and found guilty. 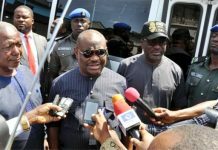 Other laws that have given imprints to the Wike administration include the Rivers State Honours law No.2, 2017, and the Rivers State University Teaching Hospital law N0. 5, 2017. The law has given birth to a Medical School in the State owned university.